Every woman dreams of staying young and fresh all her life. This very reason is capitalized by so many companies and manufacturers. Here and there, you will find soaps, lotions, creams, cosmetics, and supplements that all claim to have anti-aging effects. A lot of women are even willing to go under the knife just to stay looking young. 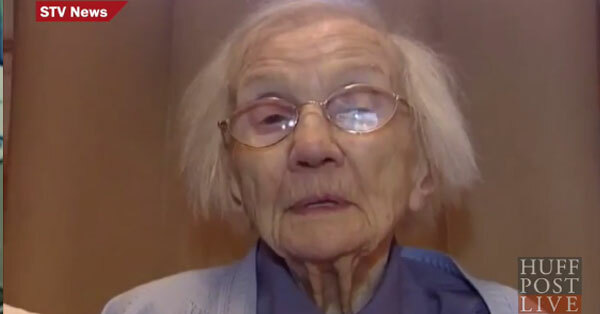 In Scotland, a 109-year-old woman proved that she did not need any of these anti-aging products. According to her, all you need to live long is porridge and men avoidance. She claimed that men are only more trouble than they are worth, which is why she preferred to stay away from them all her life. Being involved with men will only make you stressed out. Aside from eating a warm bowl of porridge for breakfast, she also frequently exercised. Centenarian Jessie Gallan was born and raised in a small cottage. She has never been married. When she was a young girl, she lived with her family, including five sisters and a brother. She left home eventually when she turned 13 and became a milkmaid. Then, she worked as a farm kitchen helper. She also worked at a hotel and witnessed the hotel visit of the Queen and the Queen Mother. Gallan was industrious. She seldom takes day offs or holidays. She also had a healthy lifestyle. Even at her old age, she still frequently exercised. She took part in group activities and even went to church and concerts. She lived at the Crosby House nursing home until her death in March 2015.